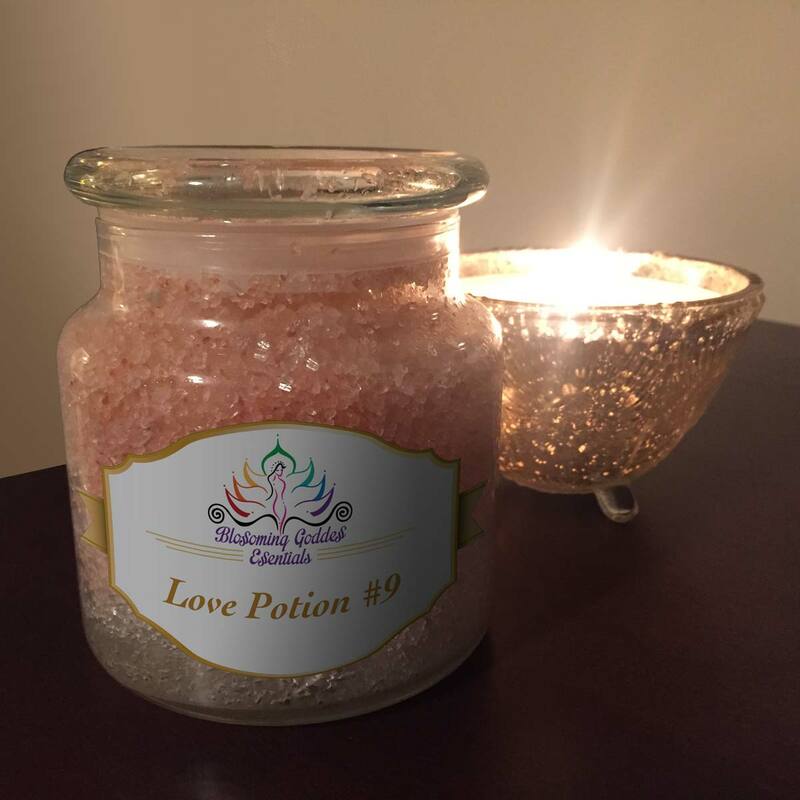 Blossoming Goddess Essentials are hand-crafted bath and body care products. Our bath salt soaks are perfect for meditation, relaxation or general well-being and care for your skin. Our proprietary blends are designed with these base ingredients; Dead Sea Salts currently from the Italy basin, Pink Himalayan Salt, Magnesium Sulfate and our proprietary soaked Dead Sea salts with a blend of essential oils designed for relaxation and harmony. Our oils are certified organic and include, Evening Primrose, Camellia Seed, Almond and Coconut Oil – all key oils for skin hydration and anti-aging properties. We offer several already blended formulas or you may choose your own. Each salt is made fresh and shipped same day, or on site at our Tampa Salon and Spa.